Collection of wheel chocks made entirely from a hardwearing blend of SBR/NR rubber. They offer a longer service life in comparison to plastic alternatives but are a lot heavier to handle. 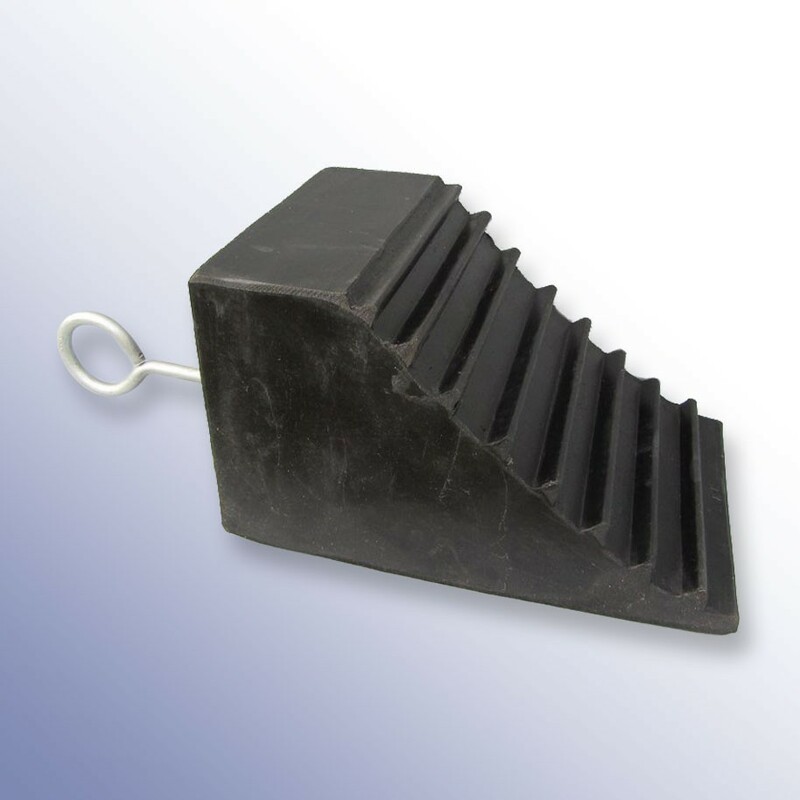 Each chock comes with either an eye bolt, handle or rope to make help make handling easier. The 6009681 is the lightest in the range and can be used with loads up to 1 tonne. 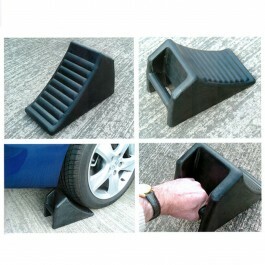 This is the best chock for caravans, car trailers or smaller vehicles. It comes with a blue polypropylene rope handle and is light and small enough to be stored easily. For loads up to 10 tonnes, the 6008807 is a commonly used HGV wheel chock. It has a small amount of coring in the rubber to help reduce the weight and cost of the item. This is the only chock in the range to feature a built-in handle. 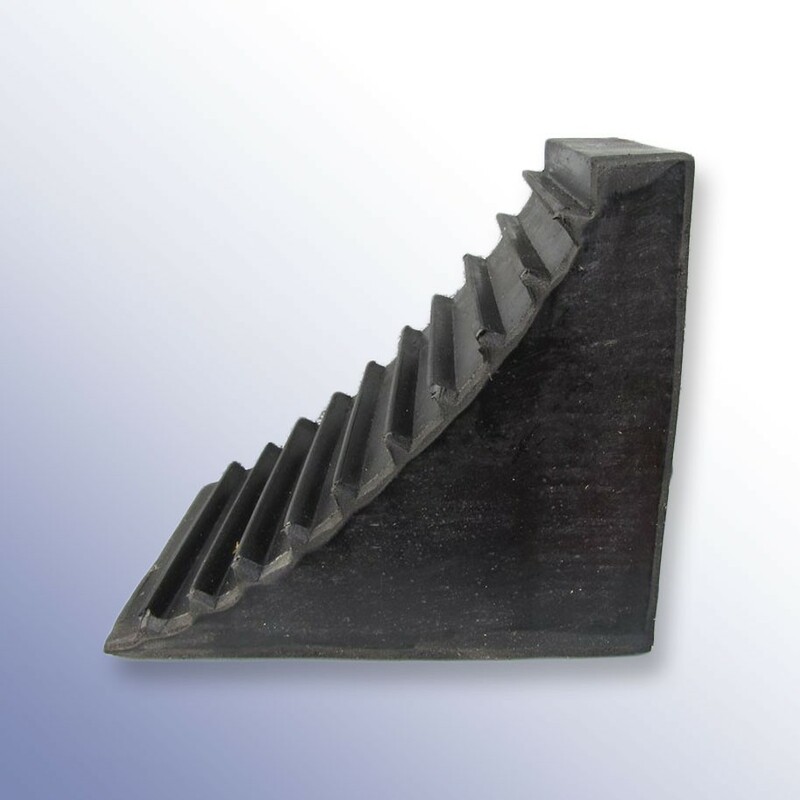 Finally, Polymax offer three rubber chocks suitable for loads up to 44 tonnes. 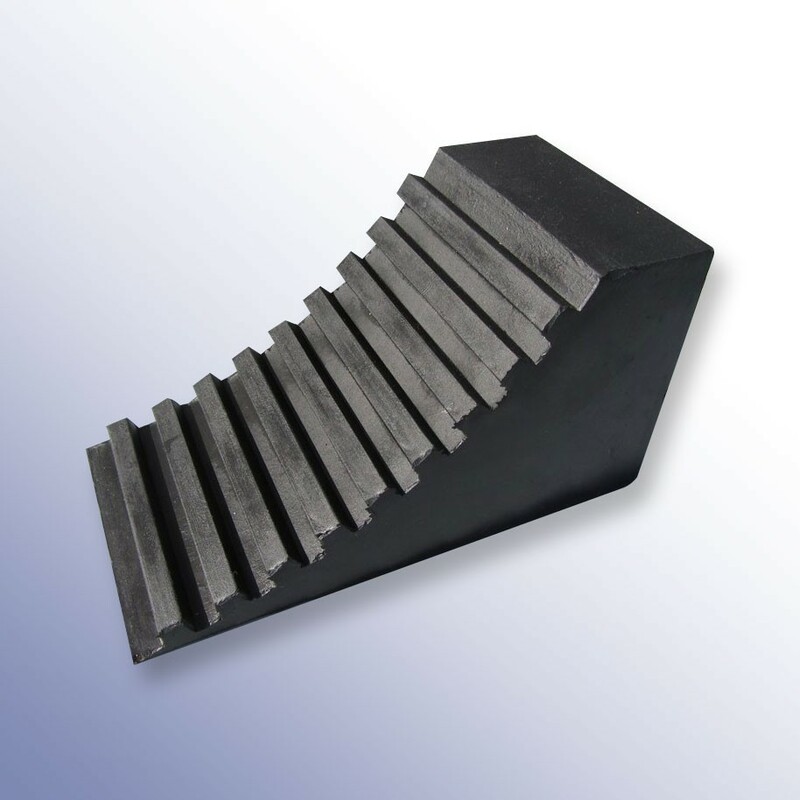 The 6008800 and 6008801 use the same design but the 6008801 features a hollow core to reduce the weight and cost. 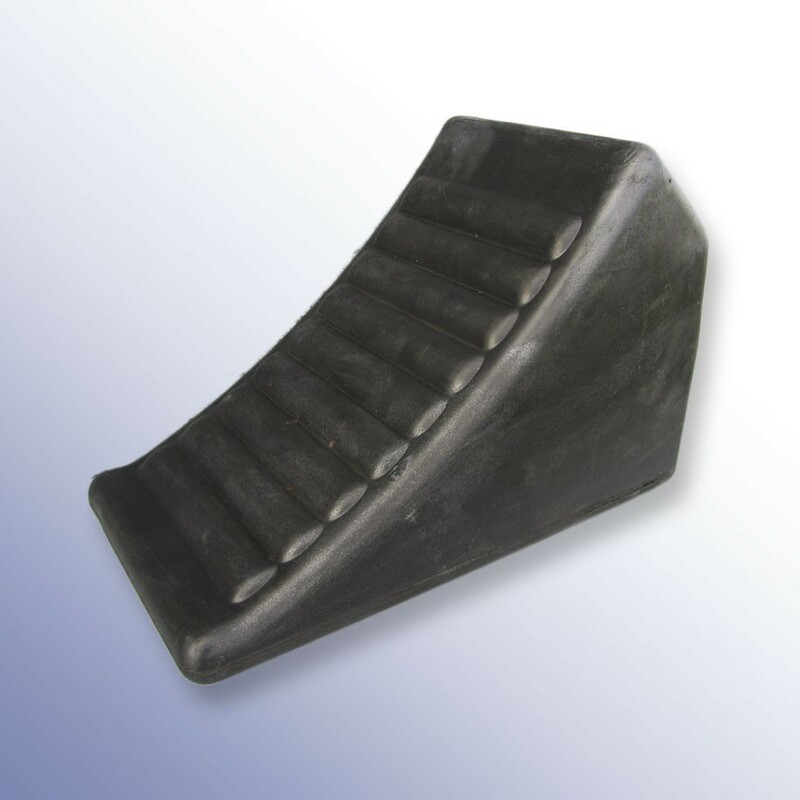 We also offer a specially designed emergency services wheel chock, made in response to fire fighters attending RTIs. The 1058666 has a restricted height to chock damaged vehicles involved in road incidents and similar situations. The extra large eye-bolt makes it easy for operatives wearing thick gloves to handle.